Plans to buy Eden's Youth Centre! We are very thankful for the awarding of a £120,000 from the Garfield Weston Foundation from their Weston Anniversary Fund (to celebrate their 60 years of supporting charities) which was used to purchase the Eden's Youth Centre. We also need to raise a further money to complete necessary repairs and renovations, to see how we are getting on with the fundraising please see the mydonate link below. Since 1999 Eden’s has rented the youth centre in Gainsborough Street, Sudbury, it is an amazing venue for youth clubs and other positive youth activities. The basement area is perfect for the needs of young people, with wonderful character and chill-out spaces. The building has been adapted to suit the work of the charity, this includes a smoothie bar, a catering style kitchen with hatch to the conservatory, a music room and recording studio as well as office space and small meeting room. 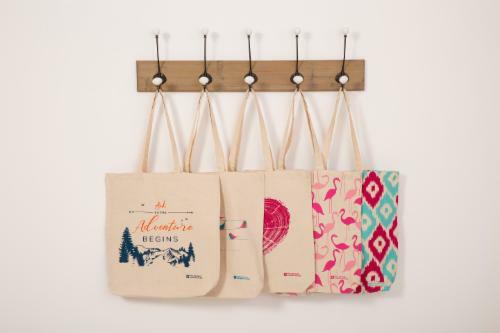 100% of the profits of this range of 5 canvas tote bags will go to Eden’s. We hope you will join us in this exciting campaign and pay a visit to the Sudbury store to check out the new canvas bag collection.